SOAPware DocumentationSOAPware FAQ'sFAQ's SOAPware Cloud SolutionQ: How do I connect to the SOAPware Cloud server? A: The SOAPware ASP program allows for users to connect to the SOAPware application from anywhere in the world using Microsoft's Remote Desktop Connection Application. RDC as we will call it from here forward, is a tool for running a computer remotely. With RDC you can utilize our remote servers just as if you were sitting in front of it. There are RDC applications for almost every operating system, including Macintosh. 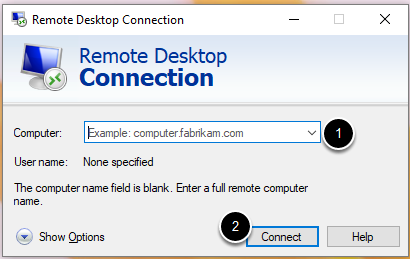 Click on Remote Desktop Connection. Enter the DNS (this will be supplied to the clinic contact person). The next screen you will see is your log on screen. Here you will enter your user name and password to the VPS server. Each user name and password is unique for each server and each clinic has it's own server. Once logged in, you will see a desktop much like your local desktop. From here you can launch the SOAPware application or any other application you have purchased. Previous Lesson: Q: How do I import images into a chart via the Remote Desktop? 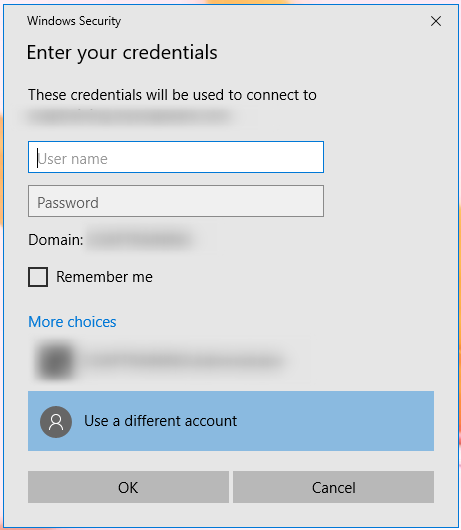 Next Lesson: Q: How do I print from a Remote Desktop Connection (RDC)?